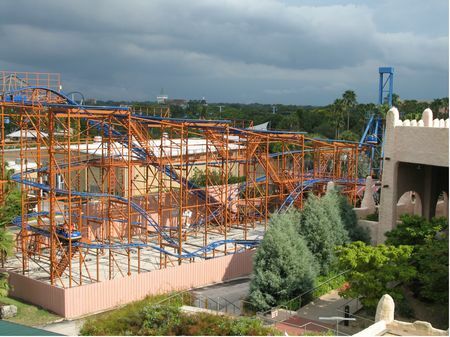 Sand Serpent is a roller coaster in Pantopia at Busch Gardens Tampa. Readers say... skip it. The minimum height to ride is 46 inches. Formerly the Wild Maus of Busch Gardens Williamsburg, and formerly known here as Cheetah Chase, Busch Gardens Tampa Bay’s Sand Serpent is perfect for a child’s first coaster experience. The whole family can enjoy the curves, drops and corkscrews of this traditional “wild mouse” coaster. The 1,200 feet of track tops out at a speed of 22 mph and is perfect for a child’s first coaster experience.